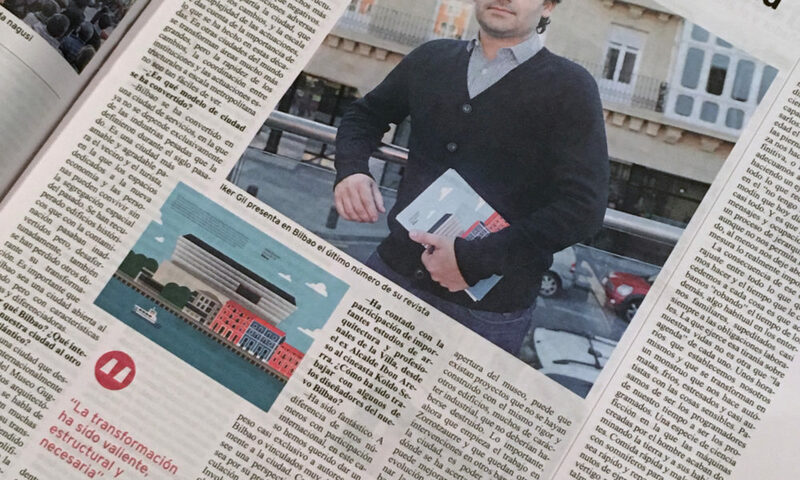 The April 2017 issue of BILBAO, the newspaper published by the Bilbao City Council for all the citizens of the city, includes an interview with our editor in chief Iker Gil. During the interview, done as part of the launch of the Bilbao issue of MAS Context in the city, Iker discusses the transformation of the city, the interest in the city abroad, working with the contributors of the issue, and a project he finds particularly interesting. You can download a PDF of the interview here. The complete issue is also available here. Thanks to Cristina Goikoetxea for the interview!